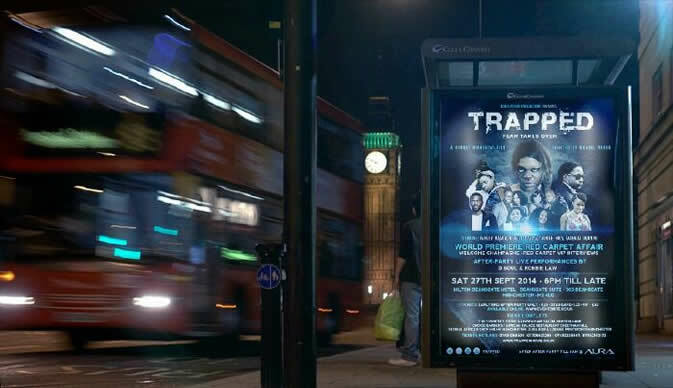 The glitz of Manchester City will witness the premiere of a Zimbabwean life in diaspora movie Trapped in which the storyline opens up chillingly the fears and unspoken horrors of day to day domestic violence, abuse and stereotypes families trying to adjust from conservative traditionally cultures values to the liberal life in the first world. 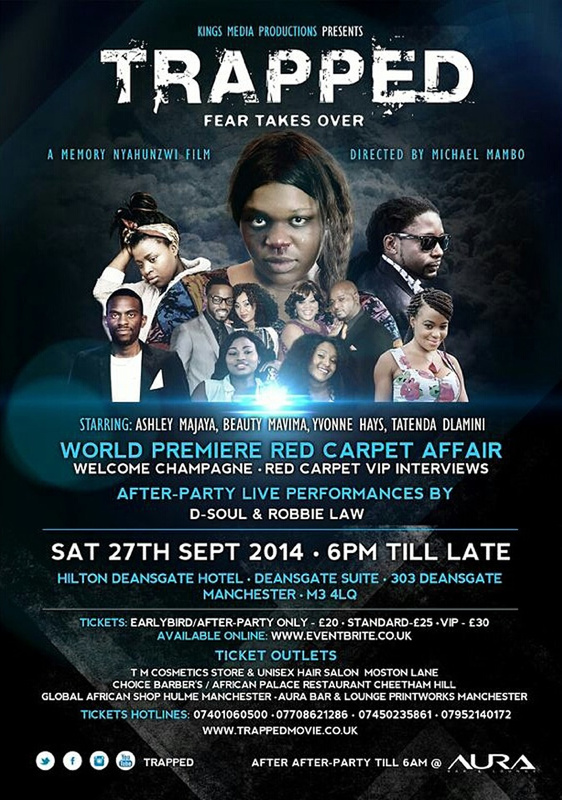 TRAPPED will have its first screening at the Hilton Manchester Deansgate, Deansgate Suite, 303 Deansgate, Manchester M3 4LQ on Saturday 27th of September 2014 from 18:00hrs and hosted by Lewis Jordan Events. This will be a Black Tie Red Carpet Affair, featuring live performances by recording Artists D-Soul and Robby Law, with musical entertainment provided by DJ Bobby at the After Party till late. After the After Party guests are invited to continue at nearby Aura Bar & Lounge Manchester till much later. The movie project splashes the creative directorship of Michael Mambo, who until this project has produced and directed many projects including short film series, documentaries, news extracts, music videos and also co-direct movie projects as Maria's Vision that premiered in Luton a fortnight ago. TRAPPED is based upon a powerful and intense true story written by Memory Nyahunzwi which aims to raise awareness on the issues confronting the abused persons in relationships, but also highlighting the psychological effect on the children who witness such violence. It draws the attention to the fact that, children at the centre of Domestic Violence can later become perpetrators themselves. Thus, the responsibility on us to protect these children, is equally as important as protecting the abused individuals in tackling issues of Domestic Violence. TRAPPED highlights the need for victims not to suffer in silence; but seek professional advice and support, drawing attention to the legal, political, social and organisational structures in place to support the victims in abusive relationships. This is portrayed through the lives of three families, the Kademo's, the Choto's and the Dongo's. This is a moving, thought provoking script which was given new depth and dimension as the compelling story became a powerful feature length film. The film showcases seasoned performances by established actors such as Ashley Majaya, Yvonne Hays and guest appearances from Tatenda Precious Dlamini and Tendai Nyikadzino. TRAPPED also features upcoming talent and new faces in African Cinema namely: Beauty Mavima, Terry Chasie, Tina Sumila, Peter Marimo Mushonga and Jenipher Msonza.